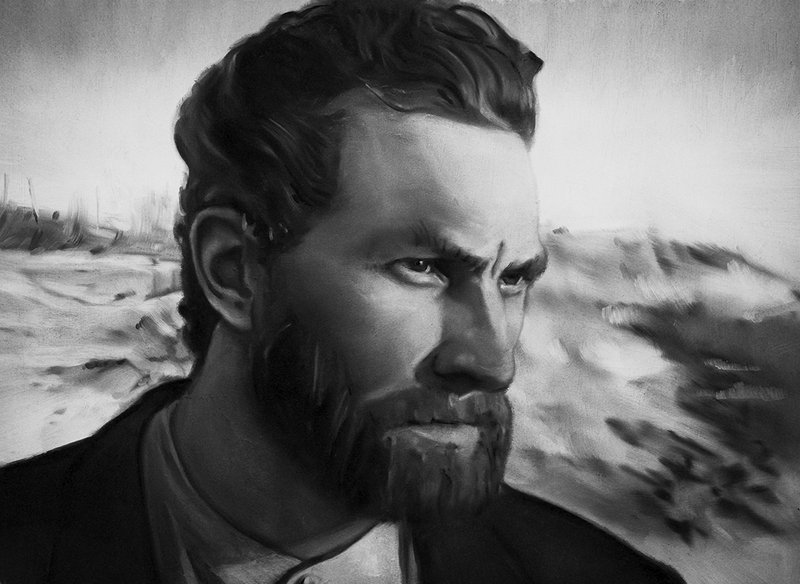 One year after Vincent van Gogh’s suicide, Postman Joseph Roulin asks his son Armand to deliver Van Gogh’s last letter to his brother, Theo. 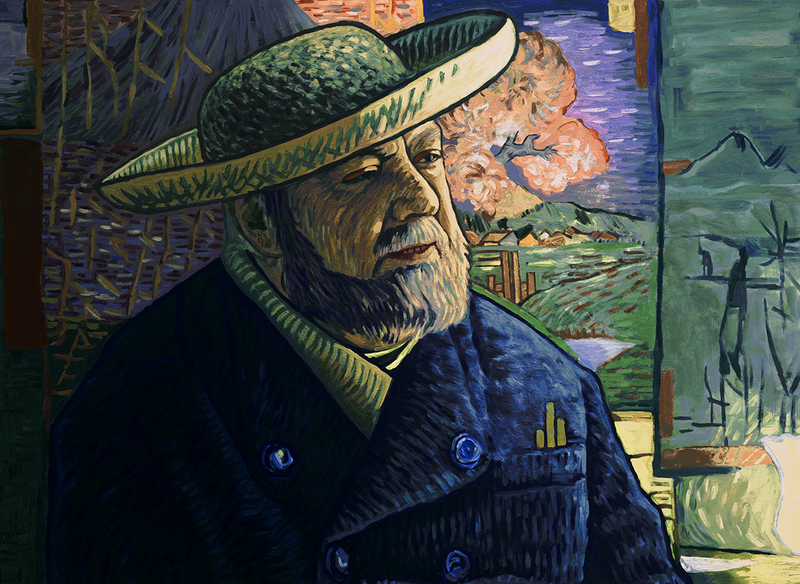 Roulin finds the death suspicious, as merely weeks earlier Van Gogh claimed through letters that his mood was calm and normal. 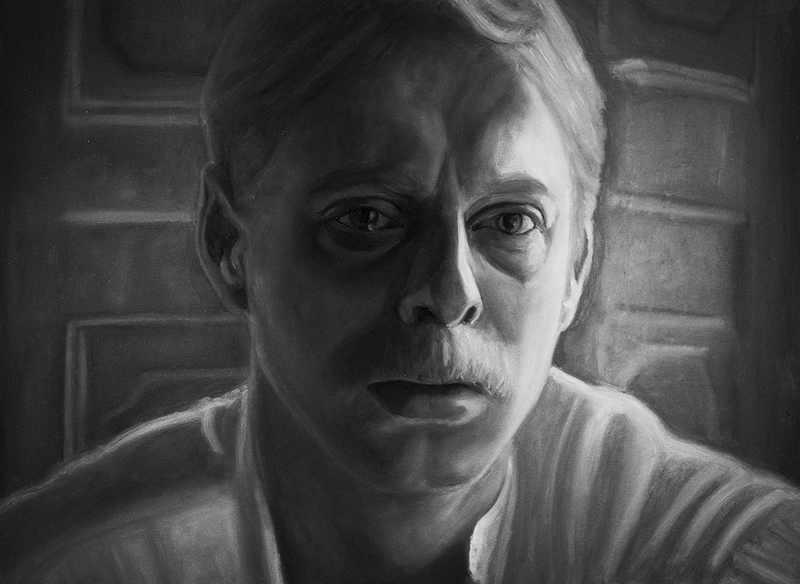 Armand reluctantly agrees and heads for Paris. 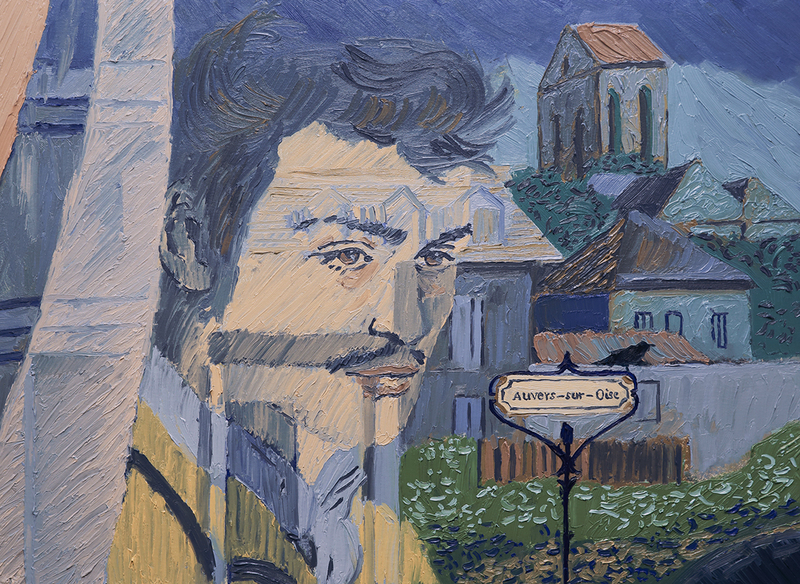 Père Tanguy, a Montmartre art supplier, tells Armand that Theo actually died six months after Vincent. 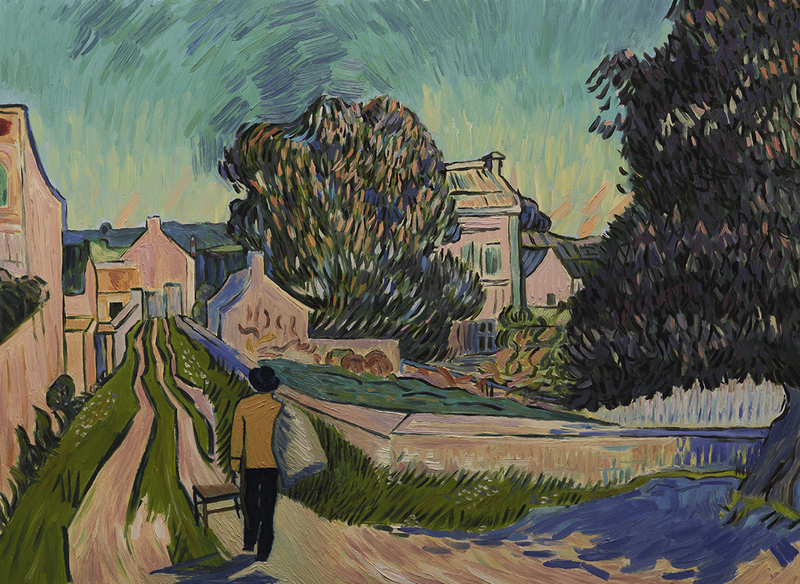 He suggests that Armand travel to Auvers-sur-Oise and look for Dr. Paul Gachet, who housed Van Gogh after his release from an asylum, shared his love for art, and attended the funeral. 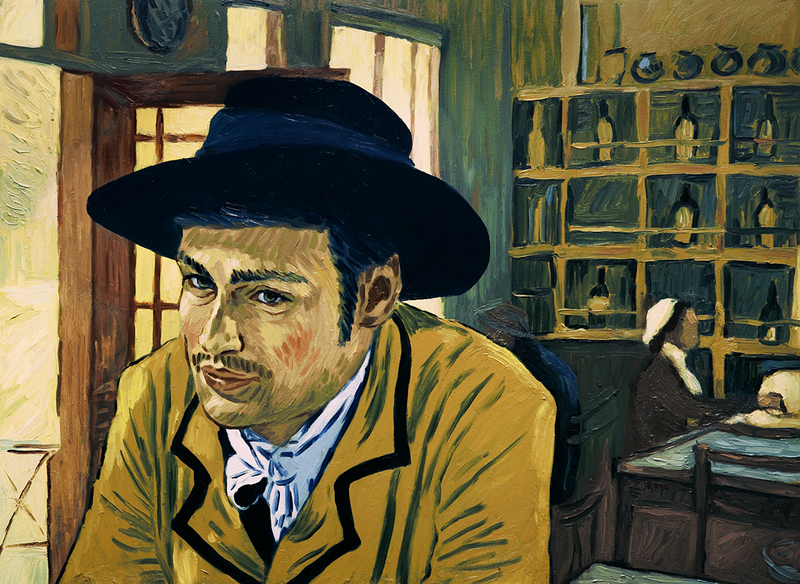 Once there, Armand learns that the doctor is out on business. 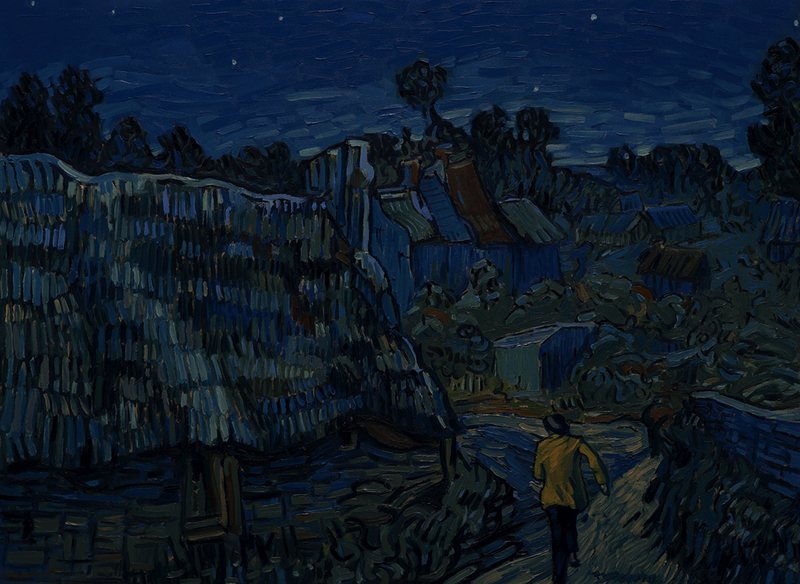 So he stays at the same inn that Van Gogh did during his time in the area. 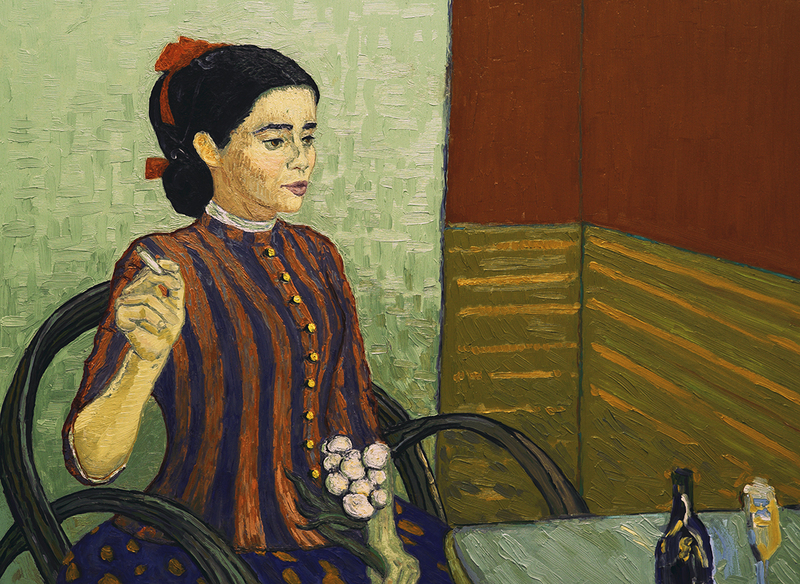 There he meets the temporary proprietress Adeline Ravoux, who was fond of Van Gogh and who was also surprised by his death. 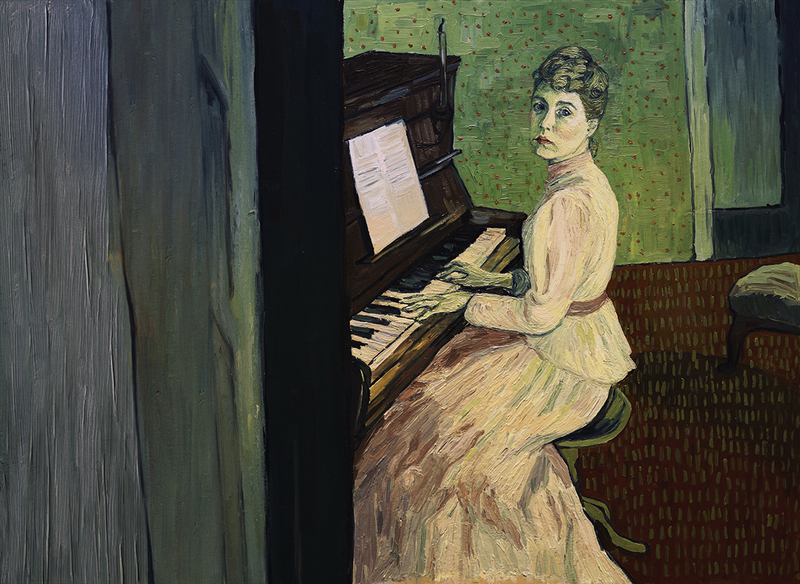 At her suggestion, Armand visits the local boatman, who informs him that Van Gogh kept close company with Dr. Gachet’s sheltered daughter, Marguerite. 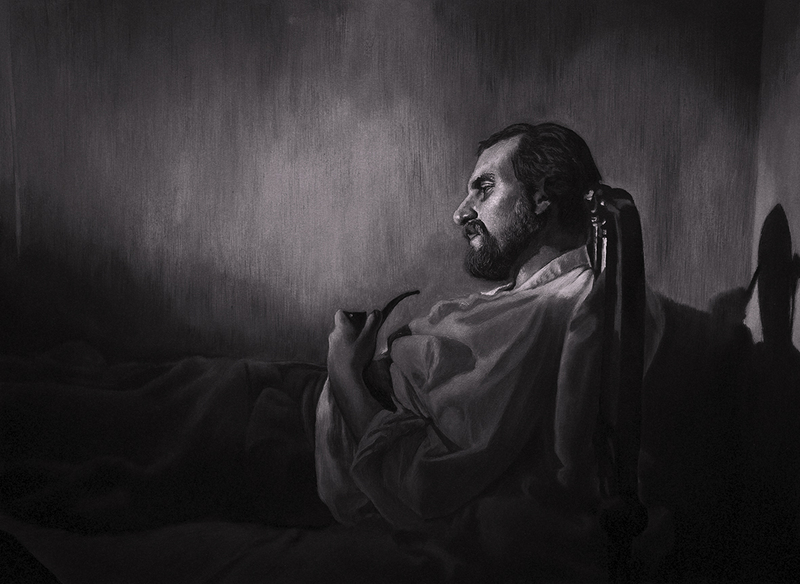 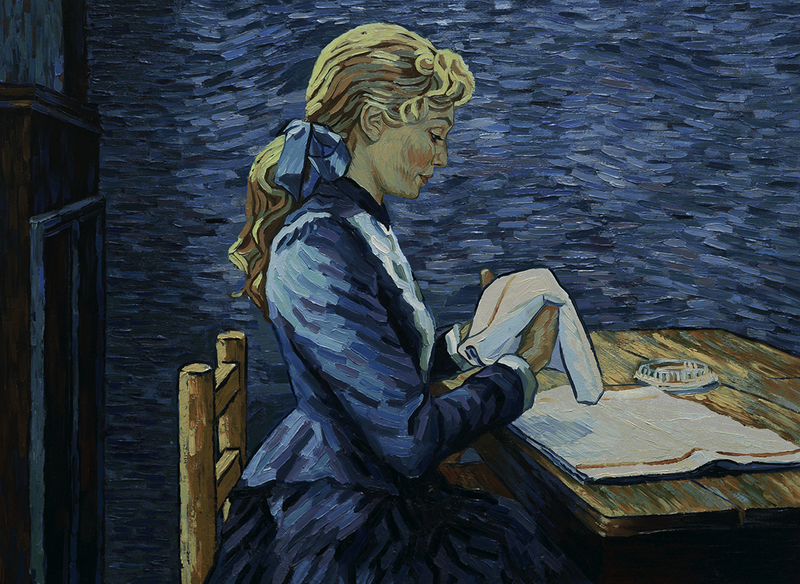 When Armand visits her, Marguerite denies and is angered when Armand implies that Van Gogh’s suicidal mood could have resulted from an argument with her father. 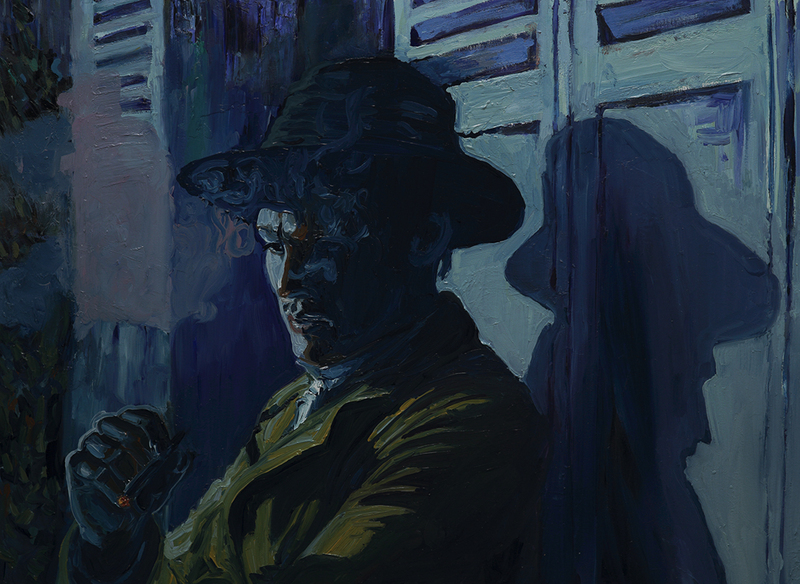 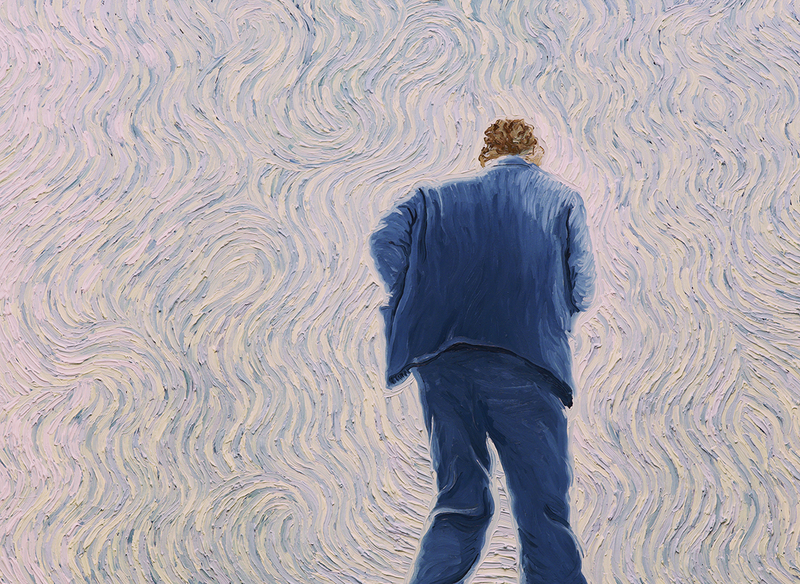 Throughout the investigation, Armand begins to suspect a local boy named René Secretan, who reportedly liked to torment Van Gogh, was in possession of a gun, and had often drunkenly waved it around town. 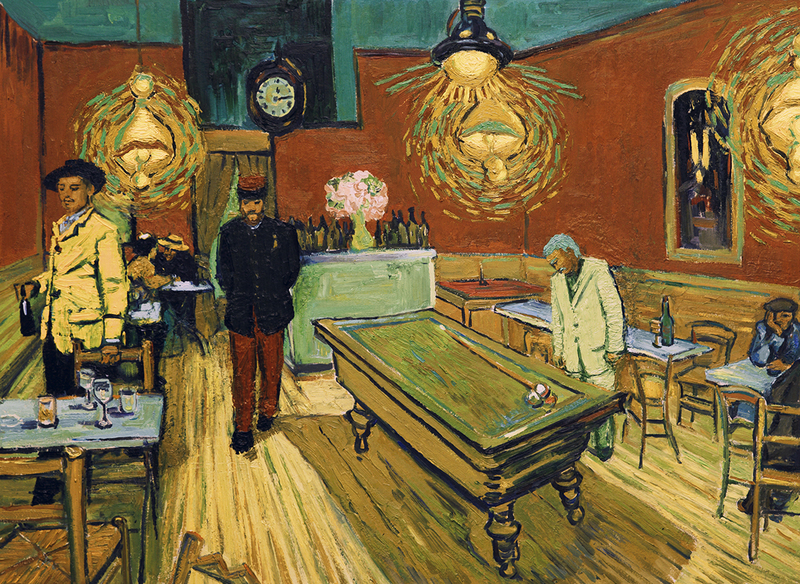 Dr. Mazery, who examined Van Gogh, also claims that the shot must have come from a few feet away, ruling out suicide. 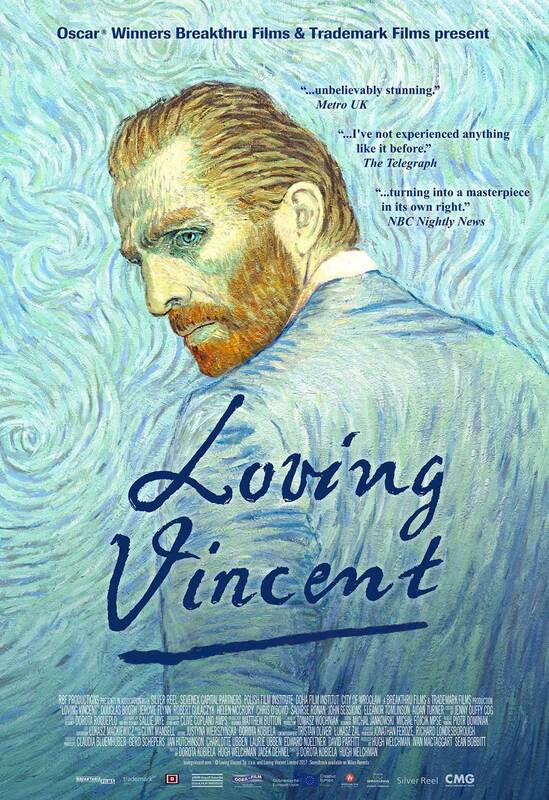 When Armand implicates René, Marguerite confesses that she was in close, but not romantic, relations with Van Gogh, but she does not believe that René was capable of murder.